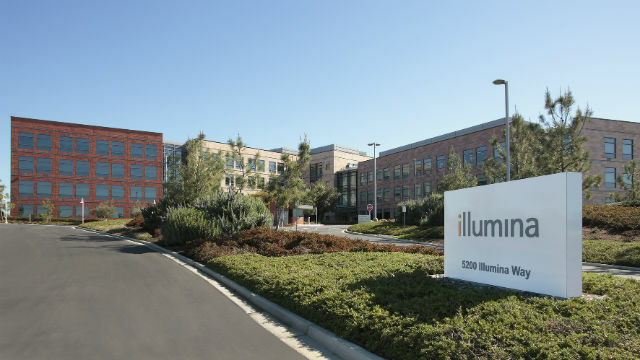 Illumina Inc. is part of a new coalition aimed at identifying the genetic causes of diagnosed rare diseases in children, the San Diego-based firm announced Thursday. Illumina joined with San Diego-based nonprofit Foundation for the Children of the Californias, Rare Genomics Institute of Maryland and UC San Francisco Benioff Children’s Hospital in the iHope program, which will provide whole genome sequencing for selected patients in financial need. Whole genome sequencing determines the order of DNA in a person’s body. The advocacy group Global Genes estimates that 30 million people in the U.S. suffer from a rare condition, half of them children — and 80 percent of such diseases are genetic in origin. “Understanding the scope and size of the population affected by rare diseases, we have a moral imperative to increase the visibility of this global health problem and help find solutions for the children and families who are suffering,” said Illumina President and CEO Francis deSouza. The goal of iHope is to end the cycle of inconclusive testing faced by young patients. “We know that rare diseases can affect any family at any time. Being a part of iHope gives me confidence that together we can make a difference for patients with these conditions,” said Dr. Jimmy Lin, founder and president of the Rare Genomics Institute. Illumina said clinical experts such as critical care pediatricians, medical geneticists, genetic counselors and others will refer children with financial needs and undiagnosed conditions suspected to be of genetic origin to its clinical services laboratory for sequencing. Participants selected by the iHope program partners will receive whole- genome sequencing at no cost, according to Illumina. The results are expected to aid physicians in diagnosing inherited diseases and to try to identify the underlying cause of a genetic condition. At least one child, a 5-year-old Venezuelan girl, has had her genome sequenced under the iHope program. The girl was subsequently diagnosed with a syndrome related to a protein known as PACS-1, which impacts walking, talking, feeding and learning skills. Illumina said their testing is most appropriate for situations where the evaluation of multiple genes may clarify or refine a diagnosis. Those situations could stem from other tests are inconclusive, there are many candidate genes to evaluate or physicians believe that the patient may have multiple genetic conditions, the company said.